Ever notice how some blogs seem to arrive out of nowhere? A few months earlier, you’d never even heard of the blog. Then suddenly it’s plastered over half the Twitter and Facebook feeds in your niche. And almost overnight, the person behind the blog is the go-to expert in the field. After all, your content is just as good as theirs (if not better). You know just as much about your topic as they do (if not more). And you work just as hard (if not harder) promoting your work on social media. How do they skyrocket their blog’s traffic and subscriber numbers … while you’re still struggling to move the needle? Is it their eye-catching design? Did they just get lucky? Believe it or not, most bloggers who make a name for themselves use a strategy that’s as old school as Netscape and 56k modems. And because it may not initially seem as exciting as a new traffic technique or the latest social media network, most bloggers overlook this time-tested approach, even though it often leads to explosive blog growth. But let’s reveal exactly how you can use this untapped strategy to grow and even make money from your blog quicker than you ever thought possible. When a new blog gets traction quickly, something specific is usually going on behind the scenes. Until now, the details of exactly how these bloggers achieved such rapid growth were known only to a select few, but it’s time to blow this thing wide open. 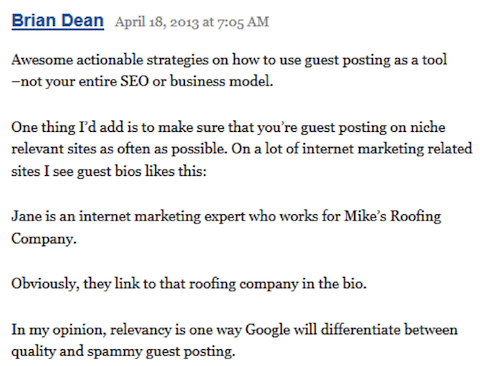 The strategy these out of nowhere bloggers use to supercharge their blogs’ expansion is blogger outreach. When you first start a blog, instead of sharing your content on social media (and hoping an influencer notices it), you put your content directly in front of the movers and shakers in your niche. Not exactly. It requires a little more planning than that. But like many other things in life, blogger outreach is a skill you can easily learn. And when you master it, the rewards will come thick and fast. The only question – how can you tap into the outreach process for your blog? Create your hit list – the set of bloggers in your niche that you want to build relationships with and whose networks you’d love to tap into. Start by using Excel (or Google Drive) to create a spreadsheet with a list of influential blogs in your niche. For each blog, your aim is to find out about the blogger behind it, together with their contact details. Now this may feel a bit creepy at first, but all you’re really doing is adding a little structure to your outreach efforts. Finding the blogger is usually fairly easy – simply check out the blog’s About Page. Fields like Twitter and Facebook should be easy to fill out too. The contact information can be a bit trickier though. The best-case scenario is to land the blogger’s email address. However, many high-profile bloggers prefer to use a contact form and that’s your second-best option. If you can’t find that, consider reaching out to them on Twitter to ask how you can get in touch. Tip: Zemanta recently put out a thorough guide to finding contact information for blogger outreach. The first set of entries in your list should be blogs from your mental Rolodex. These are the blogs you visit or refer to on a regular basis. For example, let’s say you run a blog about low-carb recipes. Right off the bat, blogs like Simply Recipes and Smitten Kitchen would probably spring to mind and contribute to the first batch of blogs in your spreadsheet. Don’t be too picky about the blogs you include in your spreadsheet at this stage. This is a raw list that you’ll refine later. Once you’ve added the obvious blogs from memory, do some research to add important blogs that aren’t yet on your radar. Good research relies on using the right tools, and a number of free tools will help you build your outreach target list. Alltop is a curated list of quality blogs in almost every industry. And it’s a great way to find blogs that aren’t already familiar to you. To find relevant blogs on Alltop, you first want to enter a keyword into the search field that describes what your blog is about. Use broad keywords (like marketing) rather than niche keywords (like email marketing). Adding blogs simply based on your gut feeling of their influence at this stage is fine too – we’ll be adding more detail later. Rinse and repeat until you’ve exhausted all of the quality niche-relevant blogs you find on AllTop. Technorati is another gold mine of quality blogs. And once again add any promising blogs that you find to your hit list. Moz’s FollowerWonk takes a slightly different approach to identifying influential blogs. Instead of searching for blogs, you search for the influential people behind them. FollowerWonk will return a list of Twitter users whose bios include your keyword, which you can easily sort by number of followers or Social Authority (more on this later). When you find an influential user, click through to their Twitter profile to see if they link to a blog. If so, add them to your hit list. And make a note of their follower count and Social Authority score because those will come in handy later. Note — you’ll generally find a more diverse range of results in FollowerWonk than Technorati or AllTop (not all will be relevant) so be prepared to do a bit of digging and use your best judgment for which to include. Google is a great place to look for influential blogs because if a blog is showing up in searches, it has a lot of authority in Google’s eyes. So if you can land a link from a blog that is already ranking well in Google, you should get a nice bump in the search engine traffic for your own blog. Use keywords that describe the topics your blog tends to cover most often. However, unlike the tools above, you don’t want to use broad keywords like cooking or baking. Google tends to list massive authority sites for single-word keywords like that – not blogs that you’ll realistically be able to reach out to. Instead, you’ll need to search for long tail keywords – such as low carb baking – as these tend to give you the blog results you need. A few ways are available to generate long-tail keyword ideas. First, take a look at what keywords you use in your blog post titles. Whether you’ve deliberately included specific keywords for SEO purposes or not, these will help you find other blogs that cover similar topics. You can then click those secondary keywords to generate other long-tail searches related to your original query. Repeat this process several times until you run out of keywords that are relevant to your blog’s topic. Each time you find a promising blog, add it to your list and enter the other details. By the end of this step, you’ll have a rough list of blogs and bloggers that will drive your outreach efforts. Nice work! You’ve already separated yourself from 99 percent of bloggers out there that haphazardly email people hoping to get a response. How many blogs should you have in your list? The total number of blogs in your hit list depends on your niche. If you run a blog on a relatively narrow topic (like pottery), you’ll have significantly fewer blogs on your list than if you had a blog about internet marketing. As long as you have at least 30 blogs on your list, you’re good to go. But before you actually start blasting out messages, you’ll want to separate your list into tiers so you can focus your efforts in the right places. Let’s face facts: not all blogs are created equal. Some blogs are big, well respected and get tons of traffic and engagement. Others, well, not so much. One of the most common mistakes that people make with blogger outreach is using the same approach for every blog on their list. To get the most from your outreach, you need to divide your target bloggers into two or three different tiers. That way, you can give industry leaders the TLC they need … while taking a more direct approach with everyone else. But how do you know which bloggers deserve the red carpet treatment? And how can you tell which bloggers may not be worth contacting at all? Once you’ve done that, fill in your spreadsheet with this new data. Use the following tips to do so. Social Authority is a smarter social metric that takes into account not just the number of followers a user has on Twitter, but also the influence of those followers. If someone is followed by, say, Justin Bieber, that will carry more weight than 1,000 followers with much lower influence. So for those bloggers you didn’t originally find via FollowerWonk, use that tool again to find their Social Authority by entering their @username handle into the same Search Twitter bios screen you used before. As an SEO guy, I prefer to use SEO metrics when evaluating bloggers. Like Twitter followers, search engine authority metrics tend to correlate with influence and reach. The higher the Domain Authority, the more influence the site has (at least in Google). The average number of comments a blog attracts for its posts is another useful metric, because while Copyblogger-level influence is nice, it’s not always necessary. You can sometimes get more traffic and exposure from a link on a smaller blog with a passionate following than on a more authoritative site with less engagement. A high average number of comments is a sign of a tightly-knit community. What about the other social media networks? Depending on your niche, a blogger’s following on sites like YouTube and Pinterest may be better indicators of their blog’s influence than Twitter or Facebook. For example, Pinterest is extremely popular in the baking blogosphere, while fitness freaks tend to flock to YouTube. Now let’s separate the prospects into tiers. This can be a bit tricky because you’re looking at a number of different variables at once. In my experience, the easiest approach is to sort your list by Domain Authority because it correlates directly with traffic and search engine ranking power. If you see any outliers (for example, a blog with a ton of comments and Twitter followers and low Domain Authority), you can move them up or down accordingly. Once you’ve done that, you should cross the lowest influence blogs off your list. So blogs that have little to no Domain Authority, blog post interaction or social media presence should be deleted. Remember: you don’t need to be too precise here – these metrics are only a guideline. 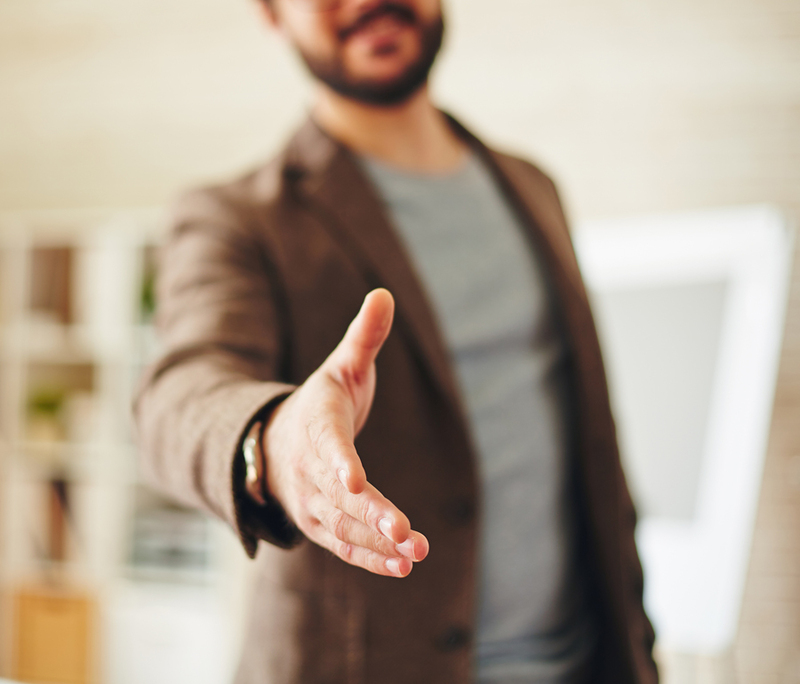 But prospecting is an important step because it tells you who to spend most of your precious time on … and who you can approach with a straight email pitch. Now that you have your targets tiered up, it’s time for the fun stuff – getting on the radar screen of your blogger targets. The beauty of using tiers is that you can start building relationships with Tier 1 bloggers as you reap quick wins from the low-hanging-fruit Tier 2 and Tier 3 blogs. I like to call this The Divide and Conquer Strategy. You’d be surprised how many bloggers (even those with tens of thousands of followers) watch their mentions like a hawk. When you share their content on a consistent basis, they’ll start to take notice. 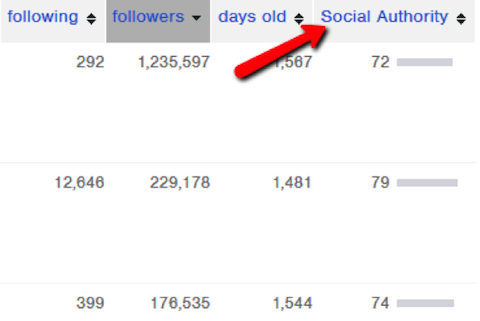 Make sure to mention their blog’s handle by using “@” on Twitter or “+” on Google+ so that they actually see your share. You’ll also want to add a brief description to show that you read and enjoyed the post. Even something simple like “Great insights by @JonMorrow” is enough. But on a platform that gives you room to add some additional insights (like Google+), you want to add a little more detail. That way, when the blogger sees your share, you’ll stick in their mind. This is a golden opportunity for you to add value and establish a small space in their brain. Leaving insightful comments is one of the best ways to warm up an influential blogger. Just make sure that your comments add genuine value to the conversation. 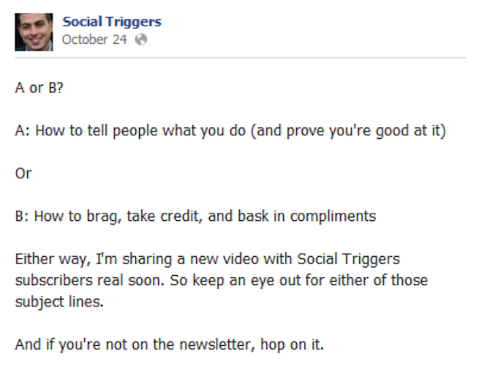 If you want to be more direct, a brief email that tells them that you’re enjoying their content is a great approach. In fact, I’ve used short-and-sweet ego-boosting emails to build relationships with dozens of influencers in several different industries that I’m involved with. Just wanted to reach out to say “thanks” for all the stuff you’ve been publishing lately at BLOG. Pro Tip: Sign up to the influencer’s email list and see if they ask you to reply with a question or something that you’re struggling with (which is becoming more and more common in autoresponder sequences). Then reply with your ego-boosting email. A creative way to get another blogger’s attention is to find any broken or outdated links on their site and let them know. Because let’s face it, no serious blogger wants broken links. The Chrome extension Check My Links makes finding broken links a breeze and once you’ve got a list, find working replacements (either updated URLs or content that covers a similar topic) for each one. Finally, drop the blogger an email letting them know you stumbled upon a few broken links and wanted to lend a hand. Does a resource or feature on the blogger’s site need a paint job? For example, is a feature not working properly or is a page in need of an update? A fantastic way to get on another blogger’s radar while providing value is to offer to improve a page on their site. As you can see, Eric simply added value to Pat’s resource, earning him a link and a relationship. While your Tier 1 prospects are still warming up, you can skip straight to the next step (reaching out) for your Tier 2 and 3 blogs, since they don’t merit the special treatment of the top tier blogs. Then, when your Tier 1 blogs are ready to rock, execute the same strategies with them. You’ve done the hard work of creating a hit list and warming up the movers and shakers in your niche. Now it’s time to move in for the kill. Looking for a tweet of your latest post? A simple content pitch by email will do the job. Want to land a guest post opportunity? You’ll need a customized guest post enquiry script. Hoping for a quality backlink to your site? I have a script for that too! So, let’s review my personal Blogger Outreach Swiss Army Knife. Ideally you’d send your messages using an email address you found in Step #1. If you weren’t able to snag an email, you can also send these using the blog’s contact form. If you have content that you want to be shared on social media or mentioned in a blog post, you need to get it directly in front of people with access to a large audience. That means the people on your hit list. Obviously, you won’t get 100% of the people you approach to share your post. But even a handful of mentions from influential bloggers will put your content on the path to viral status. Just thought you’d get a kick out of it! Because you’re not asking for anything, you don’t need an elaborate message. A short-and-sweet email that gets your content in front of them is enough. Quality blogs are picky about the guest posts they publish and rightfully so – guest contributions are a reflection of their blog’s brand. That’s why you should send a more customized email specific to guest posting to prove that you’re up to the job. I first want to start off by saying I’m a huge fan of BLOG (you may have noticed my comment from your last post. LOVE that post. I literally printed it out and have it sitting on my desk as a reference). Anyway, I was checking out some of your other posts and noticed that you published a guest post from NAME. It got me thinking: I’d love to be your next guest author! Blogger outreach is also one of the best ways to build high-quality links to your blog, which are the bedrock of good SEO. If a site has no resource page, look for any big list posts (for example, “100 ways to decorate your cake”). Then, find a piece of content on your site that would add value to that page or post. Just wanted to drop by and say that I really enjoyed your last post on TOPIC. I actually tweeted it out to my followers seconds after finishing the last sentence (it was that good). Anyway, I was checking out some of your other content and noticed your TOPIC resource page. Great list! I don’t know how I missed EXAMPLE. Might make a nice addition to your resource page. Either way, keep up the awesome work with SITE! Because you’re looking for a link, you need to be a bit more direct (but not too direct) about what you’re looking for. I find that this email straddles the line between call to action and FYI. What if I want to ask for something else? Obviously, if you’d like to accomplish something else with your email, you’ll want to create a script specific to that purpose. But the same principles from these email templates (complimentary, not-pushy, brief and to the point) should form the foundation of any outreach message you send. Once you’ve had some outreach successes, take things to the next level. Now that you’ve reached out and affiliated yourself with a fellow blogger by adding some value to their blog, it’s time to turn your one-off transaction into a, well, relationship. The following are some ideas for doing just that. Did one of your new blogger friends share a post on LinkedIn or accept one of your guest contributions? Don’t be too proud to thank them for their help. Showing appreciation even after you got what you want is yet another way to separate you from the other people who are looking for transactional relationships. A great way to have a real conversation with another blogger is to add them on Skype. That way, there’s no pressure but you’ve allowed them to take the relationship to the next level if they wish. Once you’re on Skype, ask (non-intrusive) questions about their life outside and inside of their blog. Did they see the Patriot’s comeback the other day? How do they feel about the big article in your industry? As with any conversation – either online or offline – the goal is to get the other person to relax and open up so you can connect. And Skype makes that easy. If you feel that you could grow the other blogger’s business, a Joint Venture (JV) might be in order. Start small with something like an infographic JV or a co-authored post. Over time, you may begin to do more and more involved projects together. Just remember that if you’re dealing with a big-name blogger, they get JV pitches all the time. So only make your pitch to big names if you feel that it’s a lopsided deal that’s going to help them more than help you. The relationship that you build with a JV is usually worth 10 times more than the project itself. Does your new blogger friend live nearby? Or maybe you guys are going to the same conference next month? Either way, meeting offline is the best way to build a living, breathing relationship with another blogger. It might be unashamedly old school, but I’m sure you can see the enormous untapped potential of blogger outreach. By carving out a few minutes of your day to drop comments on some of the right blogs (or send emails to some of the right people ), you’ll instantly separate yourself from the thousands of bloggers who continue to publish content and simply HOPE that an influencer sees it and shares it. Because you won’t be a single voice struggling to be heard above the noise – you’ll be standing on the shoulders of some of the biggest players in your niche. Suddenly you’ll be the blogger that arrived out of nowhere. And when people ask you how you did it, you don’t have to spill the beans. grow their business, like this free video.